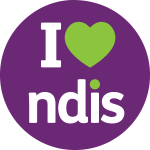 Inspire Support established as a registered NDIS provider and disability service organisation following the implementation of the NDIS in the Grampians region. We are a fast growing organisation who are passionate about providing high quality support to our participants. The organisational values of Inspire Support are Respect, Flexibility, Excellence, Integrity and Optimism. Our mission is to be dedicated to the provision of service excellence in the community sector. We have multiple casual positions providing one to one support to people within their homes such as assistance with domestic activities and building people’s capacity to undertake domestic activities independently. We also provide support to people to access the community such as medical appointments, visiting friends and family, shopping and more. We are looking for reliable, dedicated, caring, honest and punctual staff who are passionate about providing person centred support to people living with a disability and/or mental illness. Candidates must have a minimum Certificate III, Certificate IV or Diploma level Qualification in either Disability, Individual Support, Aged Care, Community Services or equivalent. Staff must have own vehicle with comprehensive car insurance, a current Working with Children’s Check, be willing to undertake a police check and be willing to be checked against the Disability Worker Exclusion Scheme. We have shifts currently available across 7 days a week mornings, afternoons and evenings. For the right people we are willing to be flexible with rostering around other commitments such as during school hours. Further training and career development opportunities are available for dedicated employees. Please email your resume, indicating your availability and the number of hours you would like to be working each week to emily@inspiresupport.com.au. We will be shortlisting and interviewing candidates as applications are received.